In Greece backgammon is very popular. Have you ever played? It is a game of logic and chance. Each player has 15 pieces that s/he needs to move through the board to the opposite side using the dice numbers to move. 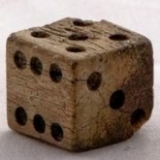 S/he can move only as many steps forward as given from the dice. This is why Backgammon is a lot like life. One can have plans and ideas of how his/hers life would unfold, but life itself is the one that determines the rules. Maybe this is why my people are so passionate about it.Backgammon is a very old game that was created probably in Persia. 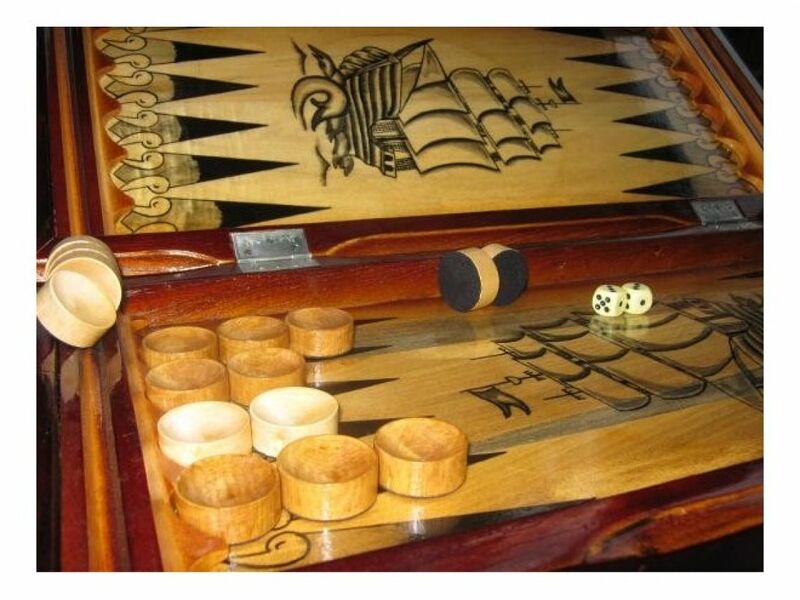 There are many variations and rules in backgammon, but the main is that the dice always have the main power; in the end one can only react in the smartest way. 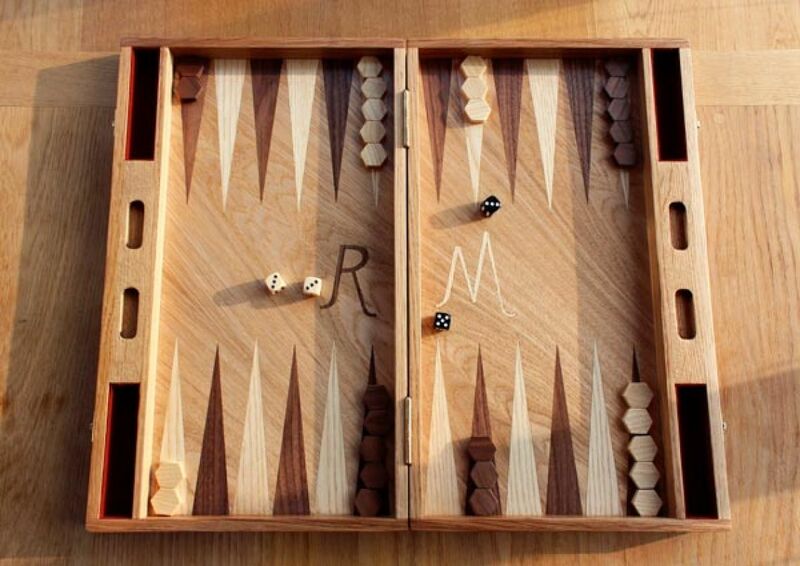 In our everyday life backgammon is everywhere . it is played at home, at coffee places, at the beach. There is a backgammon in every Greek house, in some more that one; they are freely given to customers at coffee paces. I think, that the reason we like it so much is because it reminds us that despite all our afford, sometime Fortune (Tuhe in Greek), takes over. And it is OK to fall down, the important thing is to get up and continue playing, even after you have lost. My most vivid memory connected with backgammon is not from a game I took part in. It is a memory of a rainy, sleepy Sunday at the end of the last summer. I had gotten out on some business and I was walking thorough the town. There was no one but me on the street, everything was closed (very typical for Greece). The only two noises that could be heart on that afternoon were the sea and the clatter of dice on wooden boxes from almost every window.